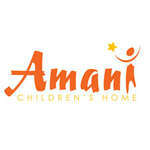 I will Support Amani Kids and climb Kilimanjaro! Lucrezia Bisignani hasn't added a story. Amani’s Big Challenge is to purchase and build a new Education Center in the city of Arusha. My challenge is to raise 3k to support this project and climb Kilimanjaro to the top 5,900m beginning on June 2nd ! The Amani Education Centre will more effectively rescue and transition children from street life to Amani Children’s Home and school. Please donate, even a small amount will help me make a difference! Thank you for your support! Lucrezia Bisignani hasn't posted any updates yet.